The Anthropocene represents a major shift in Earth history as a result of the direct intervention by humankind into the earth system and nature. The term, coined by Stoermer, was popularized by Nobel Laureate, Paul J. Crutzen, when he declared in Cuernavaca (Mexico) in February 2000: “We are in the Anthropocene”. Crutzen argued that the result of the massive intervention by human economic activities into the earth system, scientifically documented in the rise of GHG (parts per million [ppm] of CO2) in the atmosphere, is that earth history has transitioned from the Holocene, the latest period of earth history following the end of the glacial period 12,000 years ago, to the Anthropocene. When the Anthropocene started is disputed. It may have started at any time between the start of the industrial revolution around 1750 and the end of World War II in 1945, or in 1958 when the scientific measurement of the concentration (ppm) of CO2 in the atmosphere began and since when two-thirds of the increase has occurred. 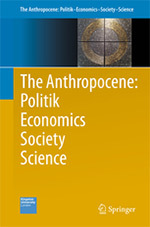 The societal and political impacts of this silent transition from the ‘Holocene’ to the ‘Anthropocene’ may be more severe and long-lasting than the impacts of a) the long-term major technical transitions (the Neolithic or agricultural and industrial revolutions), b) major changes in the political order (Vienna in 1815, Versailles in 1919, Yalta and San Francisco in 1945, the fall of the Berlin Wall in 1989), c) medium-term transitions of governments and major office holders, and d) short-term structure-creating events (e.g. the Russian revolution of 1917). This peer-reviewed scientific book series will address this very long-term and severe transition process, where the cause of the change and its potential violent societal consequences are no longer the ‘other’ nation, ethnic, religious or political group, but ‘we’: “we are the threat” and only we as part of humankind can offer a remedy by containing the causes and addressing, facing and coping with the consequences. This book series will review and analyse selective societal consequences of this fundamental change in earth history and the political, economic, societal and scientific discourses and policy-oriented societal debates on i) achieving the goal of ‘sustainable development’, ii) creating processes of ‘sustainability transition’, iii) the need for ‘a new contract for sustainability’, iv) the need for a paradigmatic change in world view (a scientific revolution) towards sustainability, or even v) the need for a ‘sustainability revolution’. The key actors for bringing about such a change are: 1) Politik in its three distinct meanings of ‘politics’ (process), ‘policy’ (field, area) and ‘polity’ (legal and institutional framework); 2) Economics (as the field, actor and process), 3) Society (as the innovative groups and processes), and 4) Science as the source of technical innovation and societal and philosophical reflection. All books in this series range from 55,000 to 250,000 words, and are published as printed books in softcover and as eBooks, and are also available as individual chapters. All members of academic institutions globally that subscribe to the relevant book package of SpringerLink have free access to these eBooks and may obtain MyCopy <http://www.springer.com/ librarians/e-content/mycopy?SGWID=0-165802-0-0-0> at a highly discounted price. Paul J. Crutzen, Susanne Benner, Gregor Lax, Hans Günter Brauch (Eds. ): Paul J. Crutzen: The Anthropocene - A New Phase of Earth History: Impacts for Science and Politics (Cham – Heidelberg– New York – Dordrecht – London: Springer International Publishing, 2017). 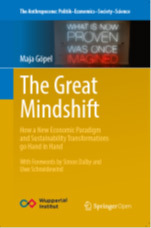 Maja Göpel: The Great Mindshift: How a New Economic Paradigm and Sustainability Transformations go Hand in Hand (Cham – Heidelberg – New York – Dordrecht – London: Springer International Publishing, 2017). Audley Genus (Ed. 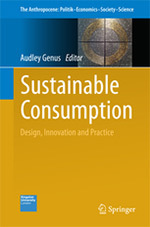 ): Sustainable Consumption: Design, Innovation and Practice (Cham-Heidelberg - New York - Dordrecht - London: Springer- Springer International Publishing, 2016). Hans Günter Brauch, Úrsula Oswald Spring, Juliet Bennett, Serena Eréndira Serrano Oswald (Eds. 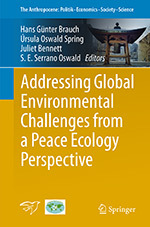 ): Addressing Global Environmental Challenges from a Peace Ecology Perspective (Cham–Heidelberg– New York – Dordrecht – London: Springer-Verlag, 2017). Úrsula Oswald Spring, Hans Günter Brauch, Serena Eréndira Serrano Oswald, Juliet Bennett (Eds. 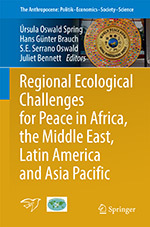 ): Regional Ecological Challenges for Peace in Africa, the Middle East, Latin America and Asia Pacific (Cham– New York – Heidelberg – Dordrecht – London: Springer International Publishing, 2017). M. Laura Vazquez Maggio: Mexican Migration to Australia: Mobility Patterns and Experiences of the Middle Classes in a Globalizing Age (Cham-Heidelberg - New York - Dordrecht - London: Springer-Verlag, 2017). Tamer M. Qarmout: Delivering Aid Without Government: International Aid and Civil Society Engagement in the Recovery and Reconstruction of the Gaza Strip (Cham- New York – Heidelberg - Dordrecht - London: Springer International Publishing, 2017). David Curran: More than Fighting for Peace? 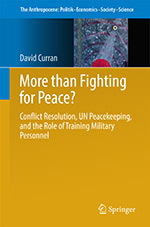 The Role of Conflict Resolution in Training Programmes for Military Peacekeepers (Cham- New York - Heidelberg - Dordrecht - London: Springer International Publishing, 2017). Heather Devere - Kelli Te Maihāroa - John Synott (Eds. 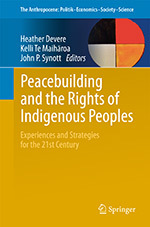 ): Peacebuilding and the Rights of Indigenous Peoples Experiences and Strategies for the 21st Century (Cham– New York – Heidelberg – Dordrecht – London: Springer International Publishing, 2017). Michael Thomas: The Securitization of Climate Change: Australian and United States' Military Responses (2003–2013) (Cham- New York - Heidelberg - Dordrecht - London: Springer International Publishing, 2017). Zerin Savasan: Paris Climate Agreement: A Deal For Better Compliance? Lessons Learned from the Compliance Mechanisms of the Kyoto and Montreal Protocols (Cham– New York – Heidelberg – Dordrecht – London: Springer International Publishing, 2017)..
Lydia Gitau: Trauma-sensitivity and Peacebuilding: Considering South Sudanese Refugees in Kakuma Refugee Camp in Kenyas (Cham- New York - Heidelberg - Dordrecht - London: Springer International Publishing, 2017). Eleonore Emkic: From Segregation to Positive Sustainable Peace: Reconciliation and Education in Bosnia and Herzegovina (Cham- New York - Heidelberg - Dordrecht - London: Springer International Publishing, 2017). 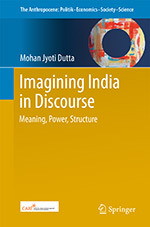 Mohan Jyoti Dutta: Imagining India in Discourse: Meaning, Power, Structure (Cham- New York - Heidelberg - Dordrecht - London: Springer International Publishing, 2017). Sabit Erşahin - Selim Kapur - Erhan Akça - Ayten Namlı - Hakkı Emrah Erdoğan (Eds. 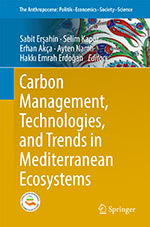 ): Carbon Management, Technologies, and Trends in Mediterranean Ecosystems (Cham-Heidelberg - New York - Dordrecht - London: Springer- Springer International Publishing, 2017).